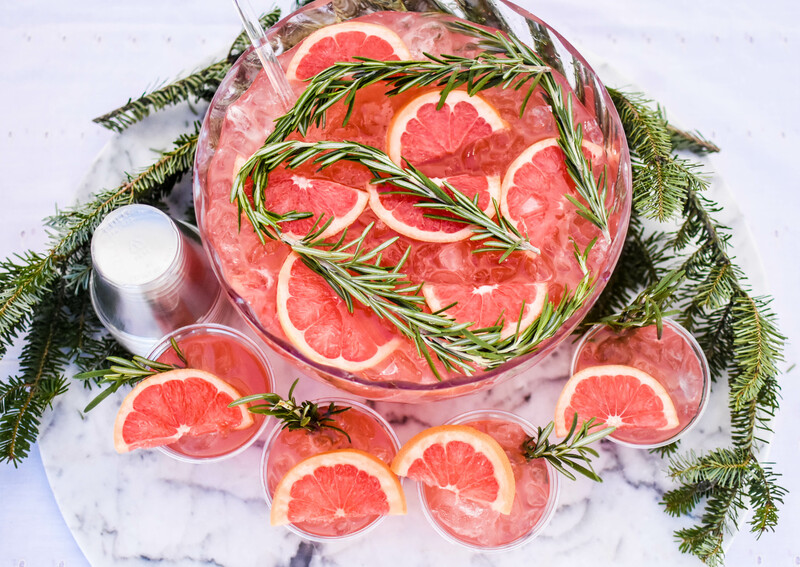 With the holiday season in full swing so are the punches; I don’t mean between you uncles at the annual family get together but the boozy punches that bring everyone together. Taking all your supplies to the party is really easy when you leave the fragile glassware at home and pack in some SOLO Cups instead. 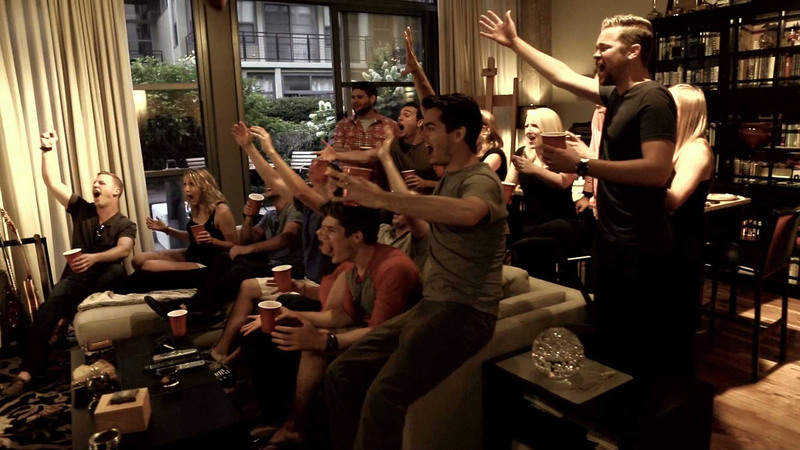 You can just throw all the necessities into the punch bowl and set up once you’re there. Punches are also super easy to make and there is no maintenance except for when you run out and have to make another one because everyone is loving it so much. Once you have your favorite balanced recipe figured out it’s super simple to replicate over and over and depending on the season you can substitute the citrus component for whatever is available. For this recipe I used some delicious Texas ruby red grapefruit, as they are available almost all year around and always delicious. 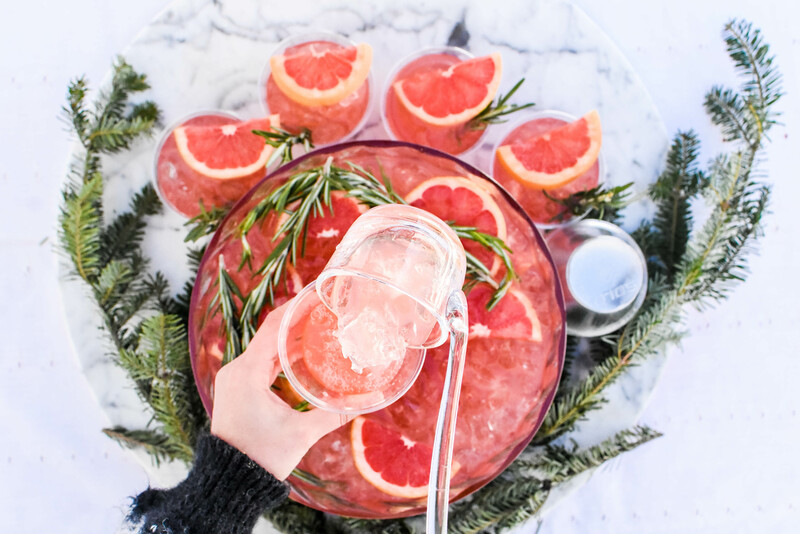 Gin is just a perfect base for punch and more importantly the light floral and citrus notes in a good London Dry pair perfectly with the ruby red grapefruit. To bring everything into harmony I ditched the simple syrup and used an agave syrup instead which brings an earthy note to the whole concoction.